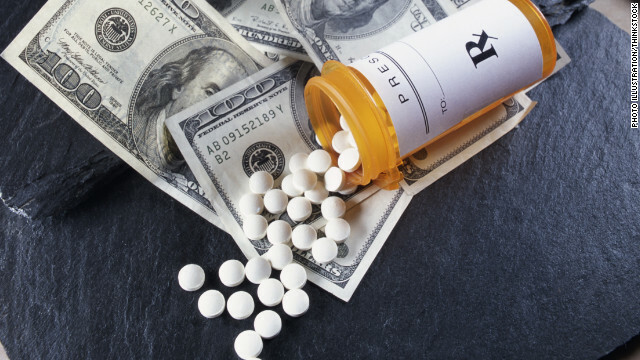 In Spite of Numerous Side Effects, the Drug Industry Continues to Push SGLT2 Inhibitors, a Completely Unnecessary Drug. Now it is Reported to Dissolve Bone, a Completely Predictable Side Effect. 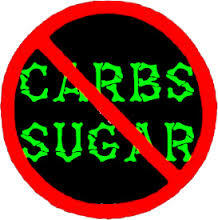 Any sugar or starch that is consumed goes almost immediately into the bloodstream. Under certain circumstances it can accumulate, and accumulation above a certain level is called Type II Diabetes or Adult Onset Diabetes. Some people metabolize sugar and starch better than others. The ability declines with age. Unmetabolized sugar and starch (by the time it gets to the blood stream, it has all been converted to glucose) can build up, and is dangerous. While it is not entirely clear why some people are more sensitive to this than others, one thing is abundantly clear: The guaranteed way to cure Type II Diabetes, which nearly always works is to quit eating sugar and starch. You can do fine without it, and heart disease will likely reverse, cancer risk decrease, and the risk of Alzheimer’s decrease; three quite desirable side effects. How much do you need to cut. Maybe some, maybe all. Start with all. Within three to six months, fasting and circulating glucose should drop below diabetic levels. It‘s more like three months for those that exercise intensely a couple of time a week . (Click here for a complete program.) And more like six months for those that don’t. If a Type II Diabetic is taking insulin, the need for this should recede, and the dosage can be cut, and most likely eventually cut out; keep in mind we are talking about Type II Diabetes. Type II Diabetics on insulin should coordinate with a doctor, so that the insulin dosage can be cut appropriately. We don’t need any glucose at all. Yes, the brain runs on it, but the liver will make it, or will make ketones, an alternate fuel for the brain, and likely a better one. And, surprise, we now know the brain too can make glucose. If we couldn’t do without sugar and starch, we wouldn’t be here. Our ancient ancestors got none at all. That’s why we are so bad at dealing with it. So why in the world do we need a pill for this when it’s so simple? The simple and somewhat cynical answer is that reducing sugar and starch, weaning off insulin, and “just saying no” to SGLT2 inhibitors, hurts both the drug industry and the grain industry. And this just isn’t how we do things. If we can throw a pill at it, by golly, that’s what we do. Those industries are important. So what does an SGLT2 inhibitor do? It tricks the kidney into dumping sugar in the urine, but in so doing, it also upsets the electrolyte balance. It seems that in the kidney, the two are tied together. More exactly, it is messing with calcium and Vitamin D activation, and, quite predictably, this causes problems. In a nutshell, it dissolves bones. The FDA has issued a warning that this could occur as rapidly as 12 weeks. So besides lowering glucose, it seems that SGLT2 inhibitors cause osteoporosis. But here’s the two-part puzzler:1) Given that it is meddling with calcium isn’t this predictable? And wasn’t anyone paying attention in clinical trials? Well, at least we get a warning. There‘s another problem that arises as well. Calcium regulation is not the only thing derailed by SGLT2. Insulin and glucose are likewise put out of kilter, and in some cases, the body can go into a mode called ketoacidosis which is potentially fatal. The FDA has warned on this too, the lawyers have started their class action suits, and many of the powers that be are trying to throw cold water on the issue. So maybe most people that take SGLT2 inhibitors won’t get ketoacidosis, and maybe a lot of people will have high bone densities, so a little bone loss won’t be so bad, but why, why, why, do we have to have a pill the compensates for the effects of dietary choice and has dangerous side effects? Instead of trying to get rid of the glucose once it is in the body, why not just avoid putting it into the body in the first place. In principle, this couldn’t be simpler. Just don’t eat starch, bread, fruit, anything sweet. There is an adjustment period that is a bit tough for some, but anyone can do it and millions have. A typical adjustment time is four week. Some experience no problem at all, and some take three months. Almost no one takes longer. Other than the sugar-starch restriction though, you can eat what you like. Eggs, meat, colored vegetables, butter, bacon, fish, fowl. This includes saturated fat along with foods that contain cholesterol. There is no need to worry about these foods if they were produced in sanitary conditions. They are all beneficial.